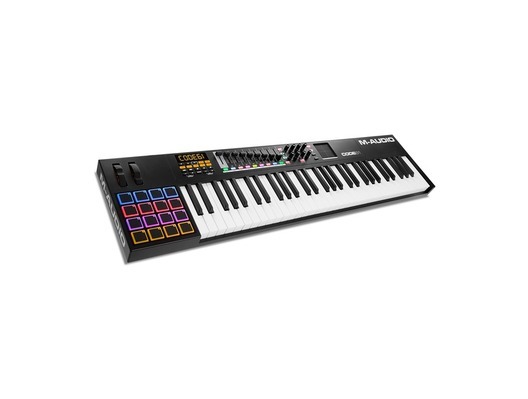 The M-Audio Code 61 (Black) is a 61-key USB MIDI Keyboard Controller with X/Y Pads, suitable for musicians and music producers. A comprehensive software package is included - Ableton Live Lite, Pro Tools First, 2GB Sample Library from Touch Loops and full versions of AIR Music Technology's award winning virtual instruments Loom and Hybrid 3.0-so you have unrestricted access to world-class creative tools. 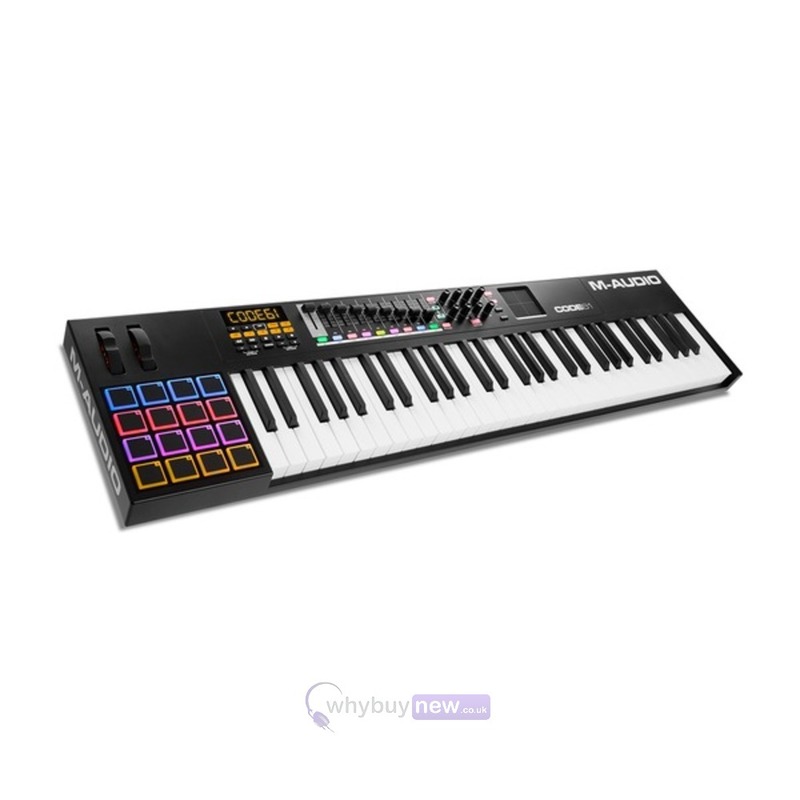 Here we have the M-Audio Code 61 (Black) in brand new condition and in B-Stock. The B-Stock versions would have been on display at a training evening or trade exhibition only and will come boxed 'as new' with all accessories and a 1-year warranty.